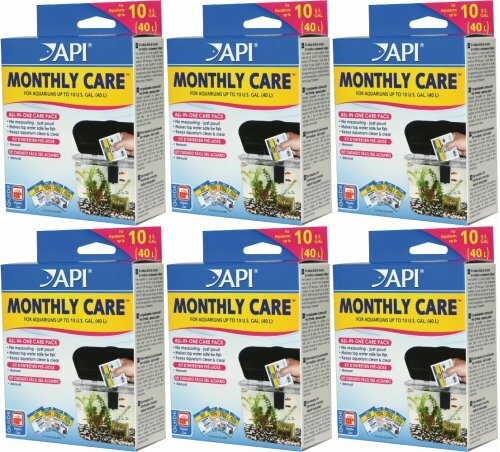 Improve and simplify the effectiveness of the monthly aquarium water change with API Monthly Care (6 x 1ct). It contains everything necessary to keep aquatic environment clean and healthy. Pre-measured monthly water treatments in a single dose format. Makes tap water safe for fish. Ideal for fish owners with a 10-gallon aquarium or smaller.